Your spinal cord, which is protected by your spine, is one of the most important structures in your body. The spine is the main pathway of your entire nervous system and when an injury places stress on your spine, it can have a devastating effect on your entire body. A serious back injury can leave you paralyzed or otherwise debilitated, or it can cause chronic pain that lasts a lifetime. Injuries to your back should not be ignored or overlooked. Cauda equina syndrome is a condition that is caused from a herniated/ruptured disc which is a result from a violent impact, such as a car accident or fall. This is a condition that causes severe pelvic and leg pain, and if not treated properly can result in permanent paralysis and other problems. Although such an injury can result from many causes, the most common causes are car accidents, slip and fall accidents and workplace accidents. When you discover that all of your sufferings would have been unnecessary if not for the carelessness of someone else, it is time to call a lawyer. Not just any lawyer will do, however. You will need a firm that is willing to aggressively seek an out-of-court settlement for you as quickly as possible, but one that possesses the successful trial record that will encourage the defendant to settle your case rather than risk defeat in court. Above all else, you need a firm that will handle everything for you, so that you can concentrate on recovery. As you know, the medical treatment associated with back injuries can be very expensive. It is most certain that if you have suffered a back injury that you will need physical therapy, medications, continued physician examinations and possibly surgery. When you have sustained a back injury from the negligence of another, you should not bear the burden of the cost of the medical expenses. We are committed in fighting for the compensation you are entitled to regarding your medical cost, lost wages and pain and suffering. If you have suffered a back injury due to the negligence of another, we would be happy to meet with you to discuss your potential claim. At Van Sant Law,, we are not an impersonal mega-firm, but neither are we a one-man operation. Our five attorneys work together to bring results to our clients. Nationwide, only 2.5 percent of all lawyers in Georgia have been named to the prestigious Georgia Super Lawyers list (compiled by a national law firm ratings organization). In our firm, the figure is 60 percent. Defendants and insurance companies laugh at lawyers who “talk settlement” but haven’t demonstrated the ability to win in court. They’re not laughing at us, though. Our founder David Van Sant has been named one of the Top 100 Trial Lawyers in Georgia by The National Trial Lawyers, and our other attorneys are also experienced trial lawyers. Perhaps that is why we end up settling the vast majority of our client’s claims. 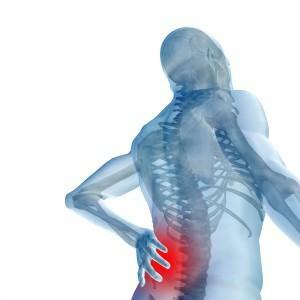 What kind of back injuries are most common in personal injury victims? Some back injuries, particularly soft tissue damage, can be difficult to -prove. Even when an injury is detected, it may be difficult to prove the degree of pain you are experiencing. Doctors will rely on X-rays, CT scans, MRIs, EMGs and other techniques to identify a back injury. How might a pre-existing injury affect my claim? A defendant might point to a pre-existing injury to establish that your back pain is the result of the old injury, not the new one. He might also assert that your new injury merely aggravated a pre-existing injury, which would result in reduced compensation for you. In some cases, however, a pre-existing injury can increase the value of your claim. We charge no upfront fees. Since our legal fees are calculated as a percentage of your compensation, you will owe us precisely zero in legal fees unless we win compensation for you. We don’t get paid unless you do, and that’s just the way we like it. It is the value of your claim that matters to us, not the thickness of your wallet.